A Southfield, Mich., woman is accusing Target of racial profiling in a lawsuit that claims she was forced to strip in front of male employees to prove that she did not steal a bathing suit. 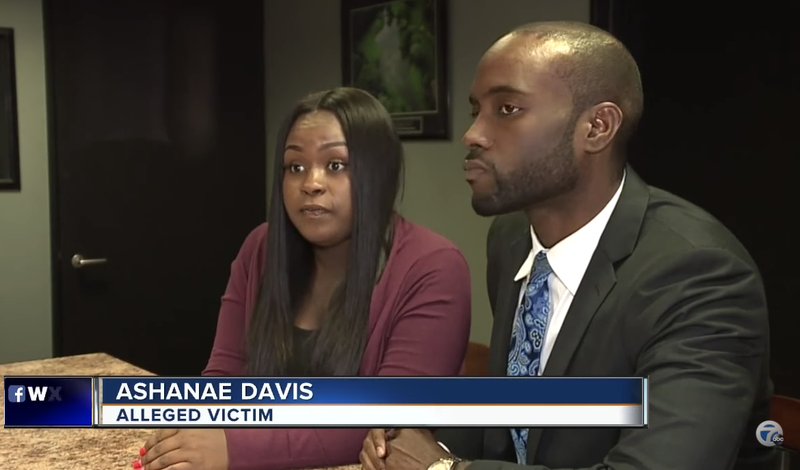 According to Ashanea Davis, the humiliating incident occurred on May 22 at her local Target. Davis says she was trying to leave when a loss-prevention officer stopped her and accused her of stealing a bikini. Another officer joined the first, and at that point, Davis was cuffed and taken to a back room, where, she says, she was forced to show that she wasn’t wearing the bikini underneath her clothes. “To obtain her freedom, she then has to pull up her shirt with two male employees at Target to prove she hasn’t stolen a bikini top, and then she has to pull down her pants to prove she hasn’t stolen a bikini bottom. And only then would they let her leave Target,” attorney Jasmine Rand said, according to WXYZ-TV. Now Davis and her attorneys, including Rand and Maurice Davis, are taking this all the way against Target Corp., including pursuing legal claims of race and gender discrimination. “Someone needs to be held accountable, and it shouldn’t happen to anyone else,” Davis said.